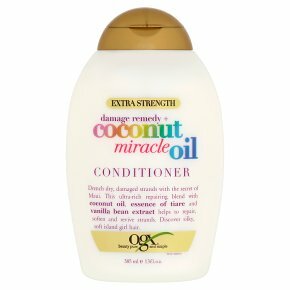 Directions for Use... After shampooing, apply conditioner generously to hair, working through ends. Wait 3-5 minutes. Rinse hair thoroughly. Warning: Use only as directed. Avoid contact with eyes. If contact occurs rinse immediately. Keep away from children. For best results use in conjunction with other OGX products.